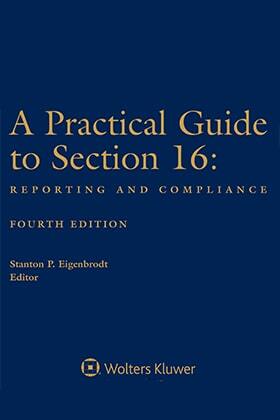 Rely on the expertise of 15 securities professionals for everything you need to know and do under the Section 16 rules. Compliance is easy with this convenient manual to guide you step-by-step through every phase of the Section 16 reporting scheme. Must a plan be "tax qualified" to take advantage of Rule 16b-3? Is shareholder approval required to exempt plan transactions? What is a non-employee director for purposes of the rules? What is a "discretionary transaction" under the rules? Is it possible to "mix and match" exemptions? Are any of the pre-1991 Section 16 rules still in effect? How is a beneficial ownership group determined? How are derivative securities treated in acquisitions? A detailed compliance timetable to assist in planning and meeting deadlines.